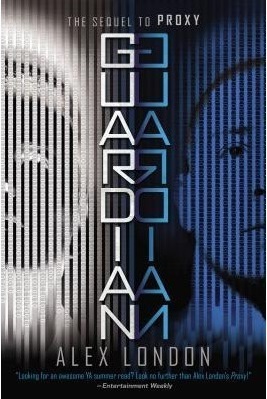 this week I’m waiting on Guardian (Proxy #2) by Alex London (expected publication: 29th May 2014 by Philomel). It’s a YA Science-Fiction sequel to Proxy, which came out in July 2013. It’s no secret that I loved Proxy (one of the best YA books of 2013, in my opinion) and I can’t wait to find out what happens in the second book. Have you heard about Proxy and Guardian? Are they on your TBR list? What are you waiting on this week? This entry was posted in Waiting On Wednesday and tagged 2014 release, EM Castellan, Guardian, Proxy, science-fiction, Waiting On Wednesday, YA Books, Young Adult literature.